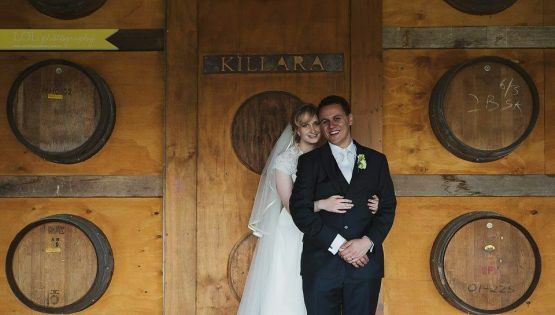 Testimonials - Speed Dating Australia Pty Ltd.
Over the years we have had hundreds of weddings and children born through clients who have met at one of our Speed Dating events. We even have hosts that met each other at one of our events and loved the Speed Dating concept so much they are are now hosting for us. "Hi Perth Speed Date, Back in November 2008 I attended an event you held at Carnegies. It was an interesting, fun night with a few nervous laughs. I had 3 people match with me. Two people messaged, or those 2, one has since become my best friend and husband and this year will mark a significant milestone of 10 years since we met at speed dating. So thank you from one very happy success story." - Dawn, Perth. "Hi Guys and Girls, Just wanted to send a quick message saying thanks for a great night. I attended an event in September 2012 at the Mt Erica hotel. One of the girls I met there was Stef, Stef and I both ticked 'date' to each other and subsequently we went out on a date. We are now happily engaged and getting married in November. We own our own house and even have a dog called Erica after the Mt Erica Hotel! If it wasn't for your company and your event I never would have met Stef! So thank you very much, for you have turned my life into something wonderful and joyful! I would be more than happy to send you a photo of our wedding day so you can add it to your list if very happy clients! Thanks again." - Michael, Melbourne. "Just a quick email to update you on our status: Kerrie & myself met at an ASD event on 8 February 2007, and I proposed to her 145 weeks later (being November 19 2009) while on a European holiday, which she accepted. Many thanks for introducing us :) " - Marc, Adelaide. "On the 24th of October 2009, Hayden and Georgina which met at the speed dating event November 12 2008, had there first born (a little boy). Just letting you know, thought you would like to know. Thanks again for making it possible." - Hayden, Melbourne. "Hi, I would like to let you that Di and I met at one of your events in August 2009 and have been in a relationship ever since and will be getting married in just under 2 weeks (feb 16th). We would be happy to give testimonials and promote your services if you so wish." - Shaun & Dianne, Brisbane. "Hello, I attended a Sydney Speed Date event on Wednesday 6 February 2013. I am proud to announce that at that event I met the love of my life (Steven) who recently proposed to me! Thank you so very much for introducing me to my future husband. We couldn't be happier and will definitely give Sydney Speed Date a big plug on our wedding night next year!" - Lisa, Sydney. "I attended a speed dating event 31/10/13 at the Mofo Lounge. I was introduced to an amazing man named Zoran.... we fell madly in love and on Tuesday night he asked me to marry him.... Thank you so much for bringing us together!!" - Jessica, Melbourne. "Hi Guys, I just wanted to pass on that my now Fiancé and I are getting married on 4-10-14 this year. We met each other at one of your events in January 2012 at the Grand Chancellor in Adelaide. We just wanted to say a big thank you." - Chani and Andy, Adelaide. "Hi, Coming up to our 6th Anniversary! Feel free to let your clients know that if not for you guys, we never would have even met. I trust this finds you well." - Marcus & Kim Plato, Perth. thinking I can do it. I went through Roxy's suggestions from your website and it definitely worked. Thanks again keep it up!" - Hitesh, Sydney. "Hi there, I just thought I'd write to let you know that I'm getting married and it's all thanks to speed dating. I went to three speed dating events in January, February and April of 2009. The first two were a white wash for me. I only got a few matches and I didn't end up meeting with any of them. On the third session I met my fiancé Katie, on the first date of the night. It was Katie's first time at speed dating and we instantly hit it off, but I didn't really expect much considering my previous bad luck. However, we both matched up for a date and we were off from there. In November we went to Japan and I proposed to her in Tokyo (after only 6 months as a couple). She said "Yes" and now we are getting married in September this year. So thanks for your help, I hope you keep up the good work. I'd be happy for you to re-print this as long as you don't use my last name." - James, Brisbane. "Sydney Speed Date, I met a man at one of your speed dating events over a year ago now and started dating him immediately after. We have now been engaged for 8 months and will be married on 1 October 2011. So, thankyou very much! Your company has made us incredibly happy." - Penny & Greg, Sydney. "Hi guys, Just wanted to send a quick note to say a huge thankyou ! I met the love of my life at a speed dating event your company held in April 2008 - almost 4 years later we're still going strong ! We would not be together without your event. Many thanks & kind regards." - Kerry-Ann & Jason, Adelaide. "Hi, I met someone at one of your speed dating sessions in May 2013. We have been dating since then, and a couple of months ago we got engaged! "Hi, I have been meaning to email for ages now! I just wanted to write in and say a massive Thankyou. I attended my first speed dating night late last year with Brisbane speed dating. I met someone. We had the first date and never looked back. And now over six months later I couldn't be happier. We are now living together and he is the most genuine, kind person I've ever met. I doubted the speed dating process but it actually worked!! We both still can't believe how lucky we have been. You have made my life complete and my partners too. Thankyou so very much." - Maddy, Brisbane. "Hi, I just wanted to give you some feedback. On July 10 2013 I attended one of your speed dating nights and met my now fiance. We are getting married in a year and are both so thankful that we attended that night. I truly met my best friend. Thanks again." - Lauren and Krish, Sydney. "Hi There, I’ve been meaning to write to you guys for a while. I have a Melbourne Speed date success story for you and thought I should share it. I met the perfect woman for me at your event in Prahran about 7 years ago, but unfortunately at the time she had just gone through a break up and wasn’t looking for anything serious. So we decided not to see each other until she was ready. Around a year later she saw me at church, very randomly since we both don’t go to that church often, and was too nervous to approach me. So she thought she would send me a text later, only to realise she no longer had my number. She got in contact with you and you guys found my details and passed it on. She got in contact with me and we then started dating. A few years later we got married! Now have a beautiful little girl and a whole exciting life ahead of us. I just wanted to say thanks for giving us the opportunity to meet each other, and for providing the ongoing service to allow my wife to find me a year after the event. The Melbourne speed date experience was a lot of fun and I met many great people at the events I attended, especially my wife :) I have been highly recommending it to my single friends and family. I am a huge advocate of the program and would recommend it to anyone. Cheers and God bless." - Marcus, Melbourne. "Hello, I thought you might like to know my husband and I met through one of the speed dating events about 5 years ago. We were married last year and are now expecting our first child. So thank you for letting us come to your event all those years ago!" - Casey, Perth.